3. Special cutter design, improves the abrasion resistance and excellent endurance. 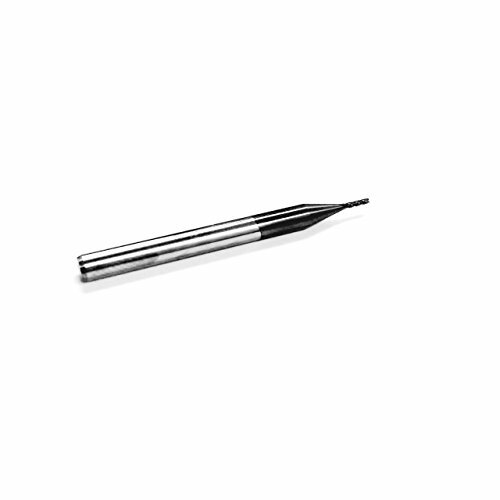 Chamfer End Mill With 90 Degree, 1/4" Shank Diameter, 2" Overall Length. 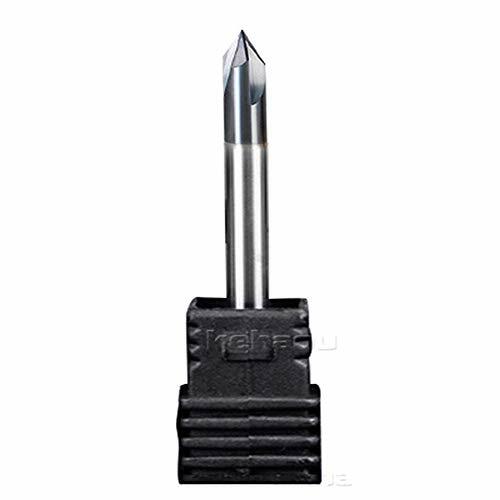 The Router Bits Are Super for Carving V Groove, CNC Lettering And Signs, And Chamfering End. 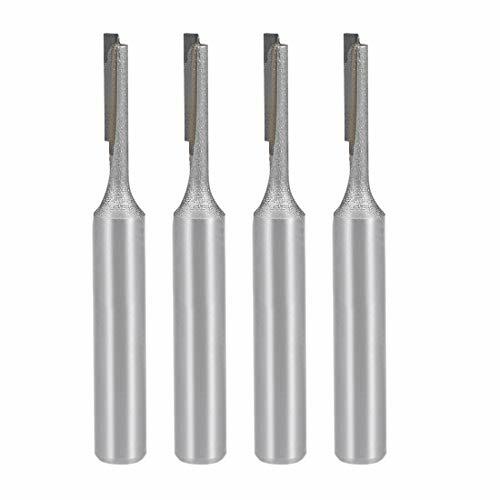 4 Flutes Designed Chamfer Bits to make Cutting More Efficiently And Clean Surface. Solid Carbide Material With Tiain Coated, Applicable for Hard wood, Plywood, Soft wood, OAK, MDF And Metals Under HRC 55. V Groove Router Bits Can Be Used in CNC, Table Mount, And Most Brand Handheld Routers with 1/4 Inch Collets. 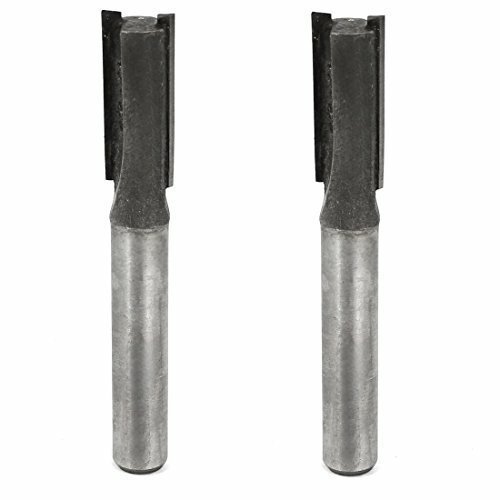 1/4 Inch Diameter Solid Carbide Chamfer Mill 1/4" Shank 2-1/2" Overall Length 4 Flute 90 Degree Carbide - Chamfer Mill. 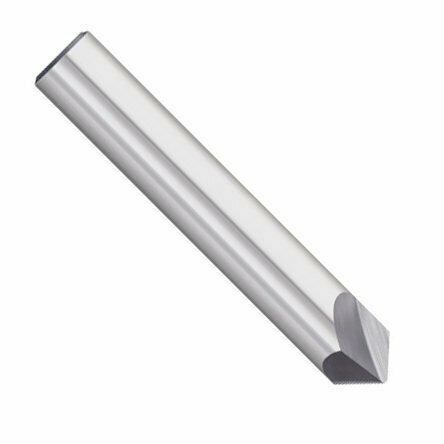 Shank Diameter: 6.35mm/1/4"; Cutting Diameter: 3.18mm/1/8"
Straight hardened shank gives extra strength and a smoother cut, produces smooth decorative edge. Perfect for routing, inlaying, mortising in wood and other soft materials, hand held and table mounted portable routers. Applicable for Steel, Cast Iron, Hard wood. 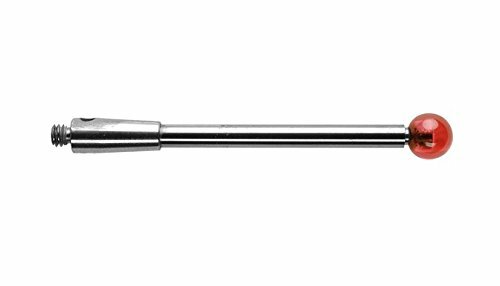 Chamfer End Mill With 60 Degree, 1/4" Shank Diameter, 2" Overall Length. Bassett MCH Series single end solid carbide 4 flutes chamfer tool. 90 degrees point angle. Applicable for steel, cast iron, nonferrous material. 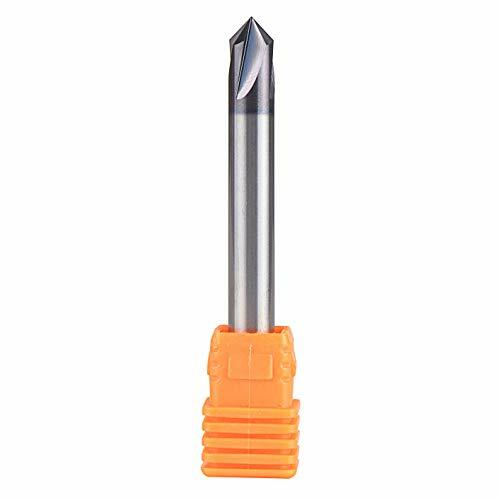 Features: straight router bit, double flutes, designed to give excellent smoothness of cut and balanced cutting with minimal vibration. Used to create a uniform chamfer on the edge of any work piece to add character, while retaining crisp geometric lines. Suitable for cutting all composition materials, plywoods, hardwoods, and softwoods. Used on hand-held and table-mounted portable routers. 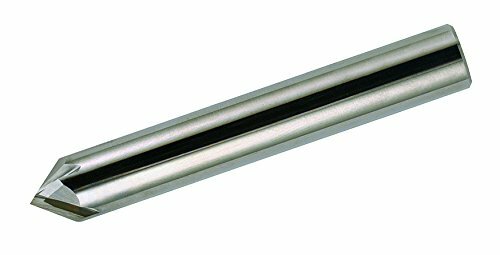 Bassett MCH Series double end solid carbide 4 flutes chamfer tool. 90 degrees point angle. Applicable for steel, cast iron, nonferrous material. 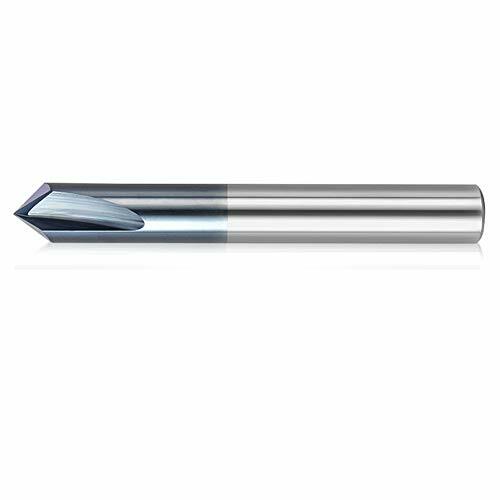 1/4 Inch Diameter Solid Carbide Chamfer Mill 1/4" Shank 2-1/2" Overall Length 2 Flute 90 Degree Carbide - Chamfer Mill. 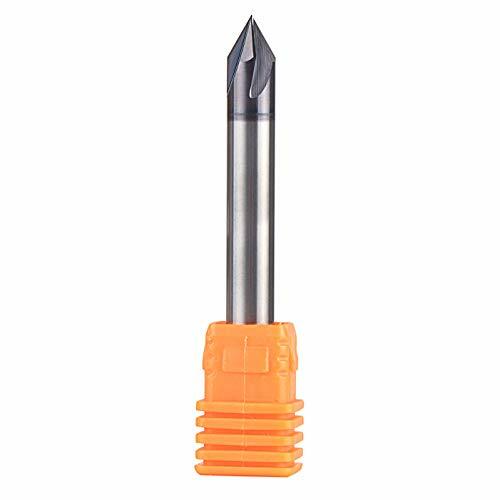 1/8 Inch Diameter Solid Carbide Chamfer Mill 1/8" Shank 1-1/2" Overall Length 2 Flute 90 Degree Carbide - Chamfer Mill. 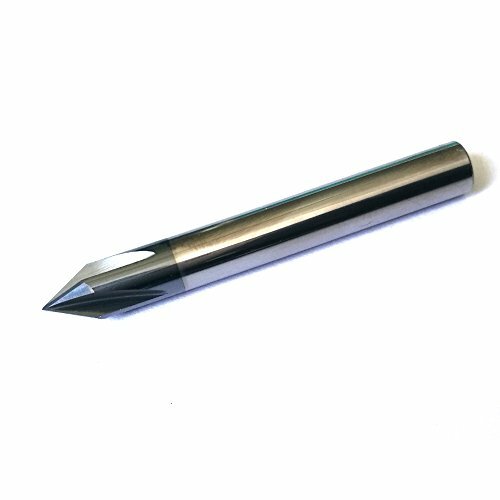 1/2 Inch Diameter Solid Carbide Chamfer Mill 1/2" Shank 3" Overall Length 4 Flute 90 Degree Carbide - Chamfer Mill. Bassett MCH Series double end solid carbide 2 flutes chamfer tool. 90 degrees point angle. Applicable for steel, cast iron, nonferrous material. Brand: GreatGages | Manufacturer: Marcy Co.
Conbraco 1", 1-1/4", 1-1/2" Cts OD Chamfer tool. 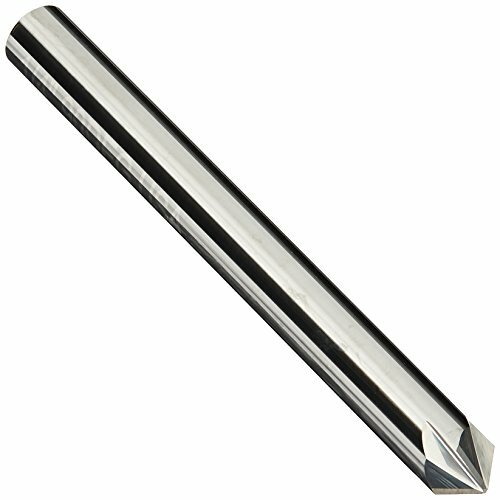 1/16 X 1/4 Length of Cut 4 Flute AlTiN-Coated Carbide End Mill ~ 1/8" shank. ~ 1-1/2" overall length. ~ Cutting diameter is 1/16". ~ Cutting length is 1/4". ~ Center cutting. ~ Made in the USA. 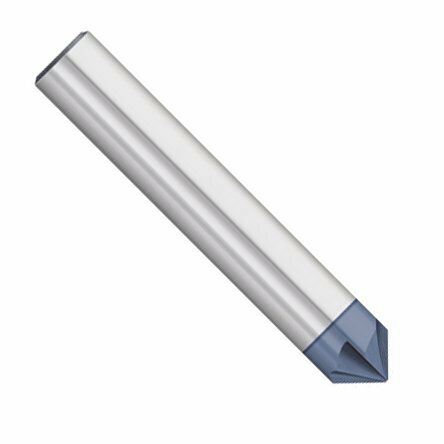 ~ Submicron grain carbide. ~ For milling tougher metals where their thicker webs offer maximum rigidity and greater feed rates. ~ AlTiN coating is beneficial in wet, semi-dry to dry cutting of most steels and highly abrasive materials. ~ Provides good thermal stability for increased speeds and feeds that offers excellent heat resistance, good lubricity, better finishes and prolongs tool life. AlTiN coating is beneficial in wet, semi-dry to dry cutting of most steels and highly abrasive materials. Provides good thermal stability for increased speeds and feeds that offers excellent heat resistance, good lubricity, better finishes and prolongs tool life.